change My mind. My Kingdom shall never end. You will be willing in the day of My power as volunteers to do My will and establish My Kingdom in the midst of all that is going on in the earth. I have prepared you for such a time as this. Many antichrists have arisen in the earth, to subdue My own. But I WILL arise with healing in My wings, and I WILL establish My Kingdom in the earth despite the enemy trying to establish His. For his will crumble, but My rulership is forever! You are a part of establishing My Kingdom through reaching your arms out to others, through teaching others, for without a preacher, how will they know? Man has lied and lied to the generations and taught them the wisdom of man. You must arise as I ARISE in the earth and proclaim MY GOODNESS in the land of the living. You are My arms and legs,& voice in the earth. You will establish a thing by speaking and declaring My WORD, as I give you prophetic utterance and prophetic prayers and declarations. Nothing will be withheld from those who love me, and who are willing to lay down their agenda for Mine. I will bring down the kingdom of Satan. I WILL establish My order in the midst of chaos and disorder. Come to Me, and let me fill you with My SHALOM, for you will be able then to rule in the midst of your enemies without being defensive, but knowing that I love you and am beside you all the way. I’ve promised to NEVER leave you nor forsake you beloveds. Come to ME, and I will show you great and marvelous things you do not know. [Jer 33:3] I AM the Alpha and Omega, the Beginning and the End. I will rule in the midst of MY ENEMIES, therefore YOU also have this privilege. In order to see things through My eyes, you need to spend time with ME, getting My perspective. Ask ME and I will show you what your heart longs to know. I WILL release you from all anxieties and fears within, that you can be part of establishing My rule if you only ask Me to. I am looking for willing hearts is all. You don’t have to be trained in school to become used by Me for Kingdom purposes. You just have to be willing and obedient to My leading. If you learn to LEAN ON ME, and not your own opinions, then life will go much easier beloveds. Lean not on your own understanding, but in all your ways, acknowledge me and I will make your path straight. Do NOTHING out of selfish ambition to be something in this hour, for it will work to the opposite. Lay aside all jealousies, all competition, for I will not honor you if you lack honor for one another. Where there is insecurity, if you will confess it, and ask Me to remove it, I will. So many have no idea of how much I love them. I am LOVE, but I also am JUST. I will honor those who honor ME. I will give grace to those who are willing to give grace to others. For as you sow in tears, you will reap in JOY. Selah! You are a peculiar generation that knows so much, and has so many advantages compared to past generations, yet there is so much lack of truth in My church due to lack of healing and deliverance in many places, and these untruths, and lies now being taught in apostasy, have spread throughout the earth, thanks to the works of the antichrist spirit. BUT I HAVE PROMISED to ARISE with healing in My wings, so know that MY PROMISES to you will not be aborted. I AM coming to break every chain the enemy has used to bind people to his ways. Pray for the loosing of MY KINGDOM in the earth, for MY GLORY will cover the earth, as the water covers the seas. Isaiah 25: 4 For You have been a strength to the poor, A strength to the needy in his distress, A refuge from the storm, A shade from the heat; For the blast of the terrible ones is as a storm against the wall. 5 You will reduce the noise of aliens, As heat in a dry place; As heat in the shadow of a cloud, The song of the terrible ones will be diminished. 6 And in this mountain the Lord of hosts will make for all people A feast of choice pieces, A feast of wines on the lees, Of fat things full of marrow, Of well-refined wines on the lees. 7 And He will destroy on this mountain the surface of the covering cast over all people, and the veil that is spread over all nations. 8 He will swallow up death forever, And the Lord God will wipe away tears from all faces; The rebuke of His people He will take away from all the earth; For the Lord has spoken. 2 Chron 15:5-7 AMP And in those times there was no peace to him who went out nor to him who came in, but great and vexing afflictions and disturbances were upon all the inhabitants of the countries. 6 Nation was broke in pieces against nation, and city against city, for God vexed and troubled them with all sorts of adversity. 7 Be strong, therefore, and let not your hands be weak and slack, for your work shall be rewarded. Ps 94:12-16 AMP Blessed (happy, fortunate, to be envied) is the man whom You discipline and instruct, O Lord, and teach out of Your law, 13 That You may give him power to keep himself calm in the days of adversity, until the [inevitable] pit of corruption is dug for the wicked. 14 For the Lord will not cast off nor spurn His people, neither will He abandon His heritage. 15 For justice will return to the [uncompromisingly] righteous, and all the upright in heart will follow it. 16 Who will rise up for me against the evildoers? Who will stand up for me against the workers of iniquity? Isa 30:19-21 AMP O people who dwell in Zion at Jerusalem, you will weep no more. He will surely be gracious to you at the sound of your cry; when He hears it, He will answer you. 20 And though the Lord gives you the bread of adversity and the water of affliction, yet your Teacher will not hide Himself any more, but your eyes will constantly behold your Teacher. 21 And your ears will hear a word behind you, saying, This is the way; walk in it, when you turn to the right hand and when you turn to the left. Acts 20:18-21 AMP And when they arrived he said to them: You yourselves are well acquainted with my manner of living among you from the first day that I set foot in [the province of] Asia, and how I continued afterward, 19 Serving the Lord with all humility in tears and in the midst of adversity (affliction and trials) which befell me, due to the plots of the Jews [against me]; 20 How I did not shrink from telling you anything that was for your benefit and teaching you in public meetings and from house to house, 21 But constantly and earnestly I bore testimony both to Jews and Greeks, urging them to turn in repentance [that is due] to God and to have faith in our Lord Jesus Christ [that is due Him]. 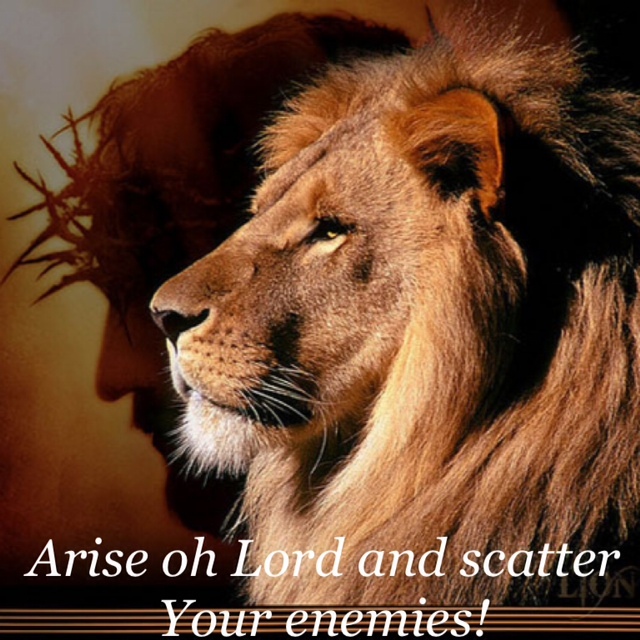 Ps 110:1-3 NKJV The Lord said to my Lord, "Sit at My right hand, Till I make Your enemies Your footstool." 2 The Lord shall send the rod of Your strength out of Zion. Rule in the midst of Your enemies! 3 Your people shall be volunteers in the day of Your power; In the beauties of holiness, from the womb of the morning, You have the dew of Your youth. Ps 110:4-6 NKJV The Lord has sworn and will not relent, "You are a priest forever according to the order of Melchizedek." 5 The Lord is at Your right hand; He shall execute kings in the day of His wrath. 6 He shall judge among the nations, He shall fill the places with dead bodies, He shall execute the heads of many countries. Isa 3:6-7 NKJV When a man takes hold of his brother in the house of his father, saying, "You have clothing; You be our ruler, And let these ruins be under your power," 7 In that day he will protest, saying, "I cannot cure your ills, For in my house is neither food nor clothing; Do not make me a ruler of the people." Isa 32:1-2 NKJV Behold, a king will reign in righteousness, And princes will rule with justice. 2 A man will be as a hiding place from the wind, And a cover from the tempest, As rivers of water in a dry place, As the shadow of a great rock in a weary land. Isa 52:7-8 NKJV How beautiful upon the mountains are the feet of him who brings good news, Who proclaims peace, Who brings glad tidings of good things, Who proclaims salvation, Who says to Zion, "Your God reigns!" 8 Your watchmen shall lift up their voices, with their voices they shall sing together; For they shall see eye to eye when the Lord brings back Zion. Isa 52:9-10 NKJV Break forth into joy, sing together,You waste places of Jerusalem! For the Lord has comforted His people, He has redeemed Jerusalem. 10 The Lord has made bare His holy arm in the eyes of all the nations; And all the ends of the earth shall see the salvation of our God. Dan 2:40-44 NKJV And the fourth kingdom shall be as strong as iron, inasmuch as iron breaks in pieces and shatters everything; and like iron that crushes, that kingdom will break in pieces and crush all the others. 41 Whereas you saw the feet and toes, partly of potter's clay and partly of iron, the kingdom shall be divided; yet the strength of the iron shall be in it, just as you saw the iron mixed with ceramic clay. Dan 8:25 NKJV "Through his cunning he shall cause deceit to prosper under his rule; And he shall exalt himself in his heart. He shall destroy many in their prosperity. He shall even rise against the Prince of princes; But he shall be broken without human means. Dan 11:3-4 NKJV Then a mighty king shall arise, who shall rule with great dominion, and do according to his will. 4 And when he has arisen, his kingdom shall be broken up and divided toward the four winds of heaven, but not among his posterity nor according to his dominion with which he ruled; for his kingdom shall be uprooted, even for others besides these. …Dan 11:39 NKJV Thus he shall act against the strongest fortresses with a foreign god, which he shall acknowledge, and advance its glory; and he shall cause them to rule over many, and divide the land for gain. Joel 2:17 NKJV Let the priests, who minister to the Lord, Weep between the porch and the altar; Let them say, "Spare Your people, O Lord, And do not give Your heritage to reproach, That the nations should rule over them. Why should they say among the peoples, 'Where is their God?'" Rev 12:5-6 NKJV She bore a male Child who was to rule all nations with a rod of iron. And her Child was caught up to God and His throne. 6 Then the woman fled into the wilderness, where she has a place prepared by God, that they should feed her there one thousand two hundred and sixty days. Rev 19:15-16 NKJV Now out of His mouth goes a sharp sword, that with it He should strike the nations. And He Himself will rule them with a rod of iron. He Himself treads the winepress of the fierceness and wrath of Almighty God. 16 And He has on His robe and on His thigh a name written:KING OF KINGS AND LORD OF LORDS. Ps 149:3-9 NKJV Let them praise His name with the dance; Let them sing praises to Him with the timbrel and harp. 4 For the Lord takes pleasure in His people; He will beautify the humble with salvation. 5 Let the saints be joyful in glory; Let them sing aloud on their beds. 6 Let the high praises of God be in their mouth, and a two-edged sword in their hand, 7 To execute vengeance on the nations, and punishments on the peoples; 8 To bind their kings with chains, and their nobles with fetters of iron; 9 To execute on them the written judgment — This honor have all His saints. Praise the Lord! 1 Cor 6:2 AMP Do you not know that the saints (the believers) will [one day] judge and govern the world? And if the world [itself] is to be judged and ruled by you, are you unworthy and incompetent to try [such petty matters] of the smallest courts of justice? 2 Sam 7:13 He shall build a house for My name, and I will establish the throne of his kingdom forever. and talk of Your power, 12 To make known to the sons of men His mighty acts, And the glorious majesty of His kingdom. 13 Your kingdom is an everlasting kingdom, And Your dominion endures throughout all generations. Matt 13:41-43 NKJV The Son of Man will send out His angels, and they will gather out of His kingdom all things that offend, and those who practice lawlessness, 42 and will cast them into the furnace of fire. There will be wailing and gnashing of teeth. 43 Then the righteous will shine forth as the sun in the kingdom of their Father. He who has ears to hear, let him hear! Luke 1:32-33 NKJV He will be great, and will be called the Son of the Highest; and the Lord God will give Him the throne of His father David. 33 And He will reign over the house of Jacob forever, and of His kingdom there will be no end."